Had to sit in a waiting room for 30 minutes and see a doctor for only 5 minutes. She didn't evenlook at my skin, just listened to my symptoms and called in a prescription. Might as well have been a phone call but instead I had to waste my entire morning. Had to sit in a waiting room for 30 minutes and see a doctor for only 5 minutes. She didn't even look at my skin, just listened to my symptoms andcalled in a prescription. Might as well have been a phone call but instead I had to waste my entire morning. They were beyond friendly and welcoming. They didn’t keep me waiting all day. I highly recommend Dr. Smith and her staff. *Patients with HMO or POS plans must come with a referral from their primary care provider before seeing Dr. Smith* Dr. Smith’s highly distinguished career includes over 20 years of active military service as a U.S. Army physician, followed by nearly 10 years of service as a dermatopathologist in private practice. In addition, Dr. Smith is also a specialist in the area of direct immunofluorescence. Dr. Smith’s noted medical career includes distinguished service in a variety of capacities within both the public and private sectors. 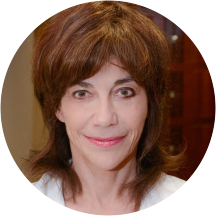 She began her profession in the active military sector as Chief of Dermatology/Chief of Medicine, with positions both overseas in Germany and Fort Lee, Virginia. She then broadened her experience in a number of prestigious appointments in the Metro D.C. area including: the Armed Forces Institute of Pathology; the Walter Reed Army Institute of Research; the Walter Reed Army Medical Center/National Naval Center; and the Medical Research Institute for Chemical Defense. Furthering her professional career, Dr. Smith expanded her vocational experience in the capacity of professor at: Uniformed Services University of the Health Sciences in Bethesda, MD; Department of Dermatology/Department of Pathology, at the University of Alabama at Birmingham School of Medicine; Clinical Professor of Dermatology at Emory University in Atlanta, GA; and Co-director, Dermatopathology Fellowship Program, at the University of Alabama at Birmingham School of Medicine. Dr. Smith’s most recent employment opportunities in the Atlanta metro area have drawn from her fields of expertise in the capacity of Dermatopathologist at Quest Diagnostics and Dermpath Diagnostics. She was great and a good listener. I was shocked by how my visit went. I had an appointment in the morning, and about 20 minutes later, I was brought back into the room, but had to sit there for a long time. In total, I sat waitingfor an hour (This is precise; I kept a check on my phone). Then the doctor rushed in, speaking quickly. I felt very rushed and after each statement, she would immediately make a recommendation. She was knowledgeable, but it felt like she was just trying to get through the appointment as quickly as possible. Once I agreed to the recommendation she made, she said that the nurse would be in with more details and she left. In total, I met with her for 5 minutes after waiting an hour (Again, this is precise; I kept a check on my phone.) I was not able to ask my other two questions. When the nurse came in, I asked her if things were always like this and she apologized for my experience but ultimately indicated to me that this was normal for this office. I was told that apparently, Dr. Smith is the only doctor in the office, and she sees about 90 patients each day. No wonder she looked so haggard and in desperate need of sleep. As much as I was disappointed in my experience, I feel bad for her. Still, I won't be returning. I was not impressed with the office or the physician. I had to complete paperwork that had already been completed online, which was annoying but would have been ok if the rest of the visit had been stellar. The office wascluttered which that made me question the cleanliness of the surfaces. The physician was not unprofessional, but she was not impressive either. The assistant that brought me to the exam room was wearing headphones around her neck, sending the wrong message about her focus. I am a nurse practitioner and I will not return to this practice and will not recommend it to others. Dr. Smith's staff and office were wonderful and listened to everything I had to say. They were very considerate. Plenty of parking and traffic around this area of Scott Blvd is light most of the time. I look forward to returning. I will not be returning!!! She is obviously too busy to be a good doctor. I scheduled the appointment through ZocDoc and when I went to sign in my appointment was not on the books. I showed them the confirmation and they were able to work me in, but I had to wait for an hour.I am finally seen by Dr. Smith and it was literally a 10 min diagnosis and even less time to discuss and ask questions. Her answers were short and almost she almost seems bothered that I had questions. I have excellent insurance and prescription coverage but she pushed some "free" prescription program rather than just calling my prescription into the pharmacy. Please be super careful and make sure to ask if she will be sending your tests to a lab that is covered by your insurance. I was floored when a few weeks after my appointment I received a very large bill because she sent my tests to a lab that DID NOT accept my insurance. Overall this was the worst experience I have ever had with a doctor and would not recommend this practice. i had appt on 06/28/2018 .I had some more question to ask her but i forgot because it was office quick visit. So i call back later. I left a message but did not get a return call back as oftoday. but in all it's a really nice office and the nurses are very pleasant. A more than one hour wait time is simply unacceptable, yet is the norm for this practice (today was my 4th and last visit over 2 years). And they don't apologize for it. I was advised to come in at 8am(i.e. first appointment) if I want to avoid waiting. After waiting that long, the doctor only saw me for a total of 2 minutes. There's no way I can trust the quality of service with so little time invested. My visit felt rushed, after waiting about an hour, Dr. Smith came in, spoke to me and diagnosed me and spoke in a rush. She prescribed several medications, didn't tell me when/how much to take of each. I will be goingto another dermatologist for a second opinion. The treatment by the staff was pretty much the same, busy and rushed with no attention to detail. Very unprofessional. Very quick to get in. She was very nice and assisted with my issues that very day. She was friendly and knew exactly how to treat my daughters skin on her head. Treatment she recommended resolved the issue. The Office assistance was very kind. The Doctor is very knowledgeable and patient. Luckily, there are a lot of dermatologists in this area so if you are getting a mole removed for analysis then go elsewhere. Wait times, loss/misplacement of my lab results and a doctor that cannot translate medical speak into plain languageare the notable low lights. If you care to hear more, my entire story is below. I went to Dr. Smith on 5/16/18 where I waited 40 minutes to be taken back. I had a mole removed and was told that I would be contacted in two weeks with the results by a staff that had no interest in helping anyone. Two weeks came and went with no phone call. Then, another two weeks came and went with no phone call. When I decided that I had given them ample time, I called the office to get my results. Whoever I spoke with on the phone said she was unsure where my result were and that a nurse would be in touch by end of day. However, end of day rolled around, and I never got a phone call. The next day (today, 6/19/18) I called back and scheduled a follow up appointment for the same day to review my pathology report. The quick response here (along with the results of the final report and leaving to never come back) were the best things that happened during my two visits. When I went in for my second visit, I waited for 50 minutes and Dr. Smith let me know that my results had not been prepared prior to my visit (I suppose I was thankful they had them at all). Unfortunately, her communicating those results would have required an MD to understand. This is not hyperbole. Words I had never heard before like nevus, cytologic, atypia, dysplastic, and margins consisted of the majority of her explanation. I asked her repeatedly to further explain and after a good bit of back and forth like this, I finally think I understood what she meant. Had I not persisted on asking questions, I would have left with literally zero understanding of the results. I told Dr. Smith about how her office essentially forgot about me and my results (which I did very politely). She apologized but took no responsibility for the problems. I do understand she was probably not the person who was literally responsible for the mishandling but as the person in charge you must accept responsibility for those who work for you. Finally, I left. And I will never return. Unlike the other derms that I took my daughter to, Dr. Smith actually tried to figure out what was wrong with her scalp instead of telling me what it isn't. She took a biopsy so she could tell me exactly whatis wrong and how to treat it. The last doctor on said that is not a fungus but couldn't elaborate on anything else. Horrific. The Dr and Nurse were so rushed and made it clear they had no time to answer my questions. They only had time to fire a few generic sentences at me without bothering to hear my side. I had toforce them to even just do what I booked the appointment for. Note to ZocDoc: I’m not sure what’s wrong with this review. You’ll have to give me what specific areas you have issues with. After waiting 40 minutes was informed the esthecian would not be in until 9. Despite the appointment documents indicating I was in for a consultation with the individual. Awesome service Dr Smith is very knowledgeable accurate and efficient! Any issues with our skin, she has cleared them up immediately! We drive 40 minutes for our visit, I do not mind the drive at all! I would highly recommendher! Lauren is also awesome, I received laser treatments from her! She is very knowledgeable and the staff is nice. The appointment took less than 10 minutes, and felt a little rushed. I was rushed through my visit and she billed me 2 years later for the appointment. Dr. Smith is professional and to the point - she was very efficient and seemed very confident in her diagnosis and treatment plan. Her staff, including nurses and admins, were polite. However, the overall visit felt rushed after I was takeninside. After waiting for over 45 minutes, I was first greeted in the back patient room by a nurse who was very polite. She did the initial triage and gave me an idea of what Dr. Smith would recommend. After she left, Dr. Smith came in a view minutes later and quickly assessed the problem and provided a succinct treatment plan. My time with her lasted less than 10 minutes. While the practice seems established and had 3 other patients there when I arrived, it seems to be understaffed with physicians as I believe Dr. Smith is the only one present. Because of this, I felt a bit rushed through. Dr. Smith is excellent; however her office staff leave a lot to be desired. When I tried to schedule a follow up appointment, her staff insisted I needed a referral, even though my insurance plan explicitly states that referrals are notrequired and i did not need a referral previoysly. It's unfortunate when administrative policies and missteps prevent a patient from accessing appropriate care. One of my medication is with GenRx and it's been two weeks since the appointment that I haven't received anything. I contacted them 3 times and the last time (5 days ago) they told me that it's coming in 2 days.I contacted the doctor's office and the person that answered was so rude to me. She said there's nothing she can do and I have to contact GenRx. I told her I did...three times. Then she asked me what I wanted her to do. How about send my prescription to my pharmacy? She immediately blurted out "It's done. I sent it...the 0.1%" I told her the prescription was for a 0.3%. She said it doesn't matter and then said that she sent the 0.3% and I can pick whichever I want and promptly said "good bye" as if I am bothering her and hung up on me. Very professional indeed. Dr. Smith was excellent. She did a free skin cancer screen on me and then identified two moles that should be removed and she removed them right away. I was in and out of the office within an hour. I highly recommend Dr. Smith. Awesome team and Dr. Very knowledgeable. I waited 45 minutes before I asked the front desk when I would be seen, as I had another appointment coming up. I did not feel as if my questions were answered, or that I was given any preventative advice. Office staff was very professional and efficient. Dr. Smith was pleasant and understood my needs immediately. Dr. Smith is very professional and knowledgeable in her areas of medicine. She is very thorough in her examinations and makes a diagnosis based on multiple pieces of data. When I have an appointment with Dr. Smith, it is a given that I will leave her office feeling better. Very informative. In and out in about 40 minutes. Dr. Kathleen is the best. She knows what she is doing and she takes care of you very fast. She will also explain everything to you. Booked appointment online only to be told there was no appointment on the books. Be ware online booking! Doctor was quick and not very personable but addressed what I came in for. I loved it! Dr. Smith and her entire staff were very nice, helpful, and knowledgeable about my hair condition!! I'm glad I chose to come to her! My visit with Dr. Smith was awesome. She and her staff were very professional. Dr.Smith goes above and beyond to find the problem and solve it quickly and correctly. She was great with giving me the information I needed to helpme understand my condition and what to expect. I would highly recommend Her to others with no hesitation. I like the setting. Everyone was professional and dressed professional. I was very impressed at the overall experience. The doctor was so helpful she really offered services to better my health. That's what I feel doctors should do to help the community thrive at our best. I would definitely recommend. The doctor is caring and takes her time with you. Very professional and knowledgeable. She makes sure the patient is as pain free as possible during the procedures. Gives easy to understand instructions on after care and lets you know when you will gets results. She was throughout and paid close attention to what we were saying about our personal experiences. She was very fast and helpful! Dr Smith is the best. Front office staff is lukewarn, at best, even on the phone. I'm big on customer service and if I don't feel welcomed on phone and especially in person, repeat business is less likely. Dr. Smith and her assistant in back werevery nice and friendly, however. Dr. Smith appears knowledgeable in the area of my specific problem. Once that is resolved, I would seek any other Derm services elsewhere. This is based solely on the reception of her front desk staff. I made an appointment three weeks ago and when I arrived I was not on the appointment schedule for the day.. It was fine since the receptionist fit me in the schedule anyway. Other than this my appointment was good. Very professional, friendly and knowledgeable. I will definitely return. Kind of messy, no communication between employees. They made me complete 2 different new client forms - total of 20 pages..